Hey Everyone! Last weekend i did my first aeternity meet-up in Kalyan, India on 24th march at 7;30 pm. 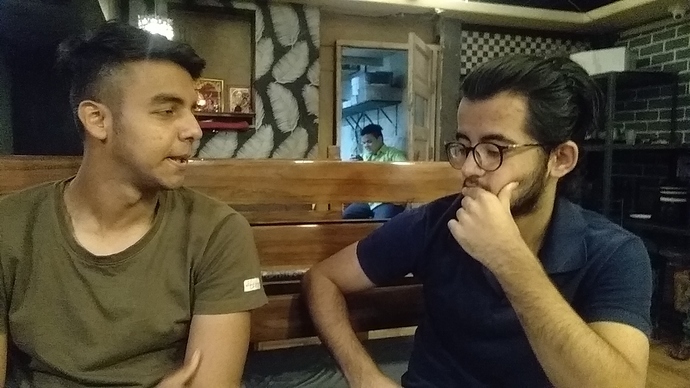 This meetup was organised at Delicia fine dine in my city. The people who attended this meetup were of the age group of 17-21. As it was my first meetup, I started with the basics of Blockchain because i wanted people to know the true definition of a blockchain, how it works and why it is necessary. Once i was done with that i smoothly transitioned it to aeternity and made them understand why aeternity is better then the other blockchains in the market. State channels was an intriguing topic for people and they were glad to here the benefits of state channels and i was super glad to clear their doubts aswell. The meet-up was productive and everyone learned something new about this very amazing technology aeternity. Here are some photos and a meetup video. Please tell us more - how many people attended the meetup, what were the main questions from the participants?